Transportation has always been central to the development of Chibougamau. Hundreds of people put their blood, sweat and tears into building roads and railways connecting the new mining town to the South. Others risked their lives as pilots in the North at a time when there was little to no infrastructure. 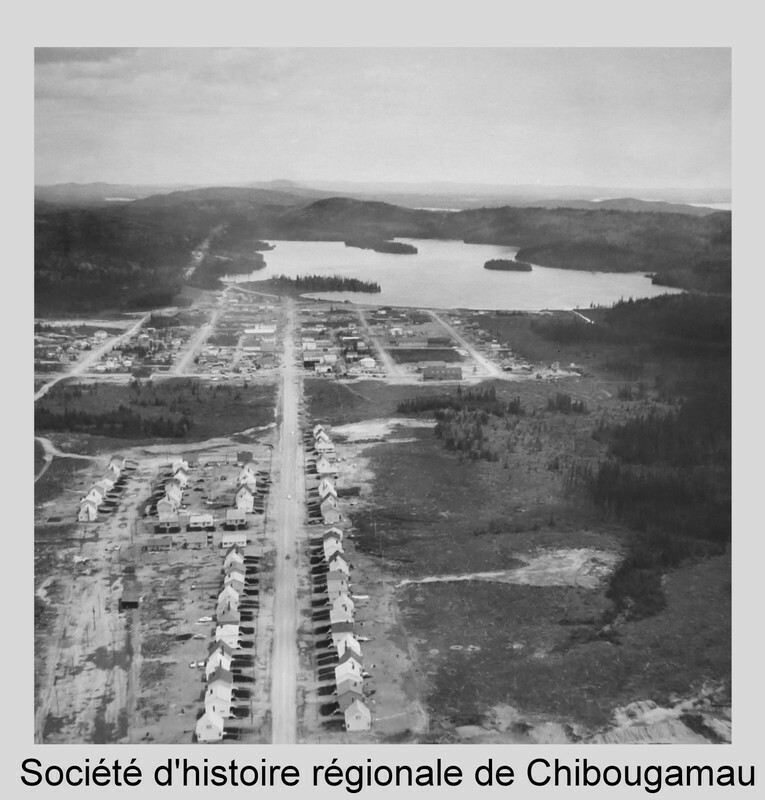 Full reference for the photo: Aerial view of the town of Chibougamau in 1954, with Campbell Mines company houses in the foreground. P5 Fonds SHRC. 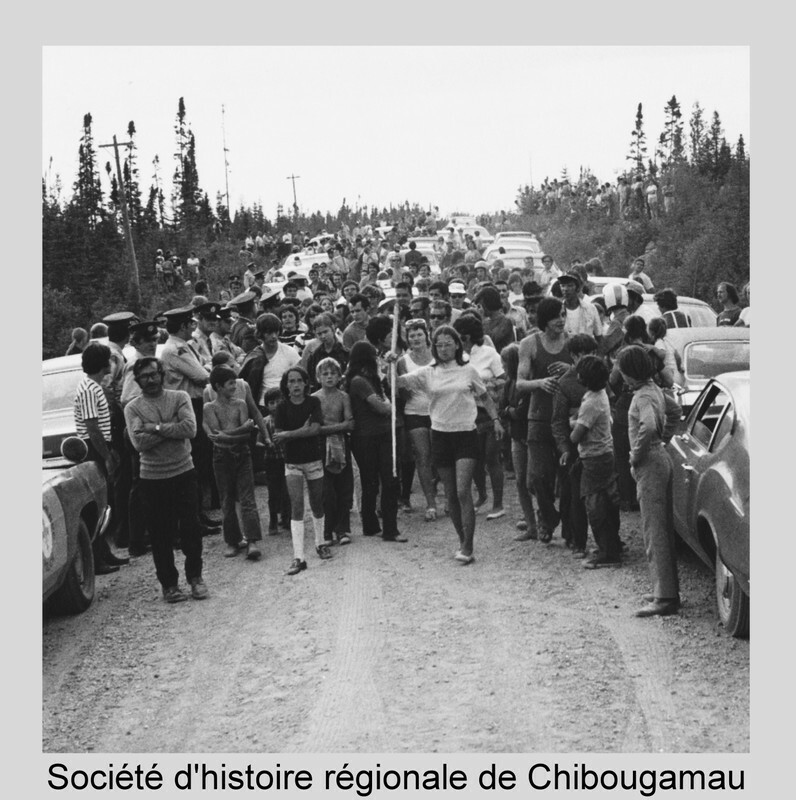 On August 15, 1971, about 2000 people gathered in the Réserve Faunique Ashuapmushuan, known locally as the Chibougamau Park, to stage a blockade. Their efforts paid off: an agreement to completely upgrade the road was signed. “Scotty” Stevenson (1912–1974) is the best-known pilot in the history of Chibougamau. Born in Scotland, he arrived in Quebec in 1927. First, he was a pilot for the Hudson’s Bay Company and, later, a fighter pilot during World War II. After the war, he began his career as an independent pilot and merchant in northern Quebec. He traded furs with Aboriginal trappers and participated in mining development, carrying prospectors, geologists and mining promoters with their equipment. Scotty Stevenson became a legend for his landings on 3rd Street, in the early 1950s. Some well-known publications, including Time Magazine, published articles about him. In 1950, Scotty Stevenson opened the first general store in Chibougamau—the tiny Eastern Trader. Later, he founded the Waconichi Inn. You`ll find more information at stop Number 8. Full reference for the photo: Group photo in front of Scotty Stevenson’s Fox Moth CF-EXW aircraft in 1950. From left to right: Lorenzo Blondeau, Eileen Stevenson, Scotty Stevenson, André Tison, Gisèle Cire, Amy Lee and an unidentified person. P24 Fonds Frederick Nelson Bidgood. Chick Bidgood arrived in Chibougamau with his family at the age of four. His grandfather was a prospector in the Yukon and in northern Ontario in the 1930s. His father, Nelson, who came to Chibougamau to lead a team of mine drillers, would be supervising 15 mining companies owned by Randy Mills a few years later. An eyewitness to Chibougamau’s mining era, Chick Bidgood rubbed shoulders with Larry Wilson, Joe “Chibougamau” and Scotty Stevenson, with whom he learned to fly. 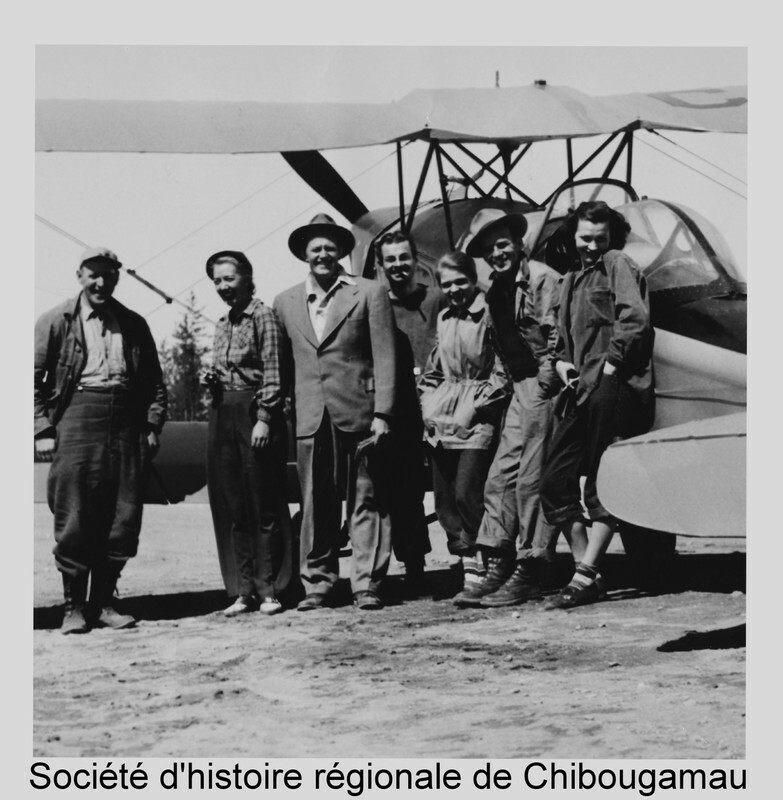 His guided tours contributed to making the public aware of Chibougamau’s history. For years, Mr. Bidgood amassed a large number of documents and photographs he collected from the pioneers. The Bidgood collection is one of the showpieces of Chibougamau’s regional historical society, the Société d’Histoire régionale de Chibougamau. Chibougamau’s first runway and first airport, built in the early 1950s, was named after Nelson Bidgood, Chick Bidgood’s father.